Samuel Jones is one of few American conductors to advance through the ranks of the smaller American orchestras to become the conductor of the Rochester Philharmonic, one of the majors. He then achieved national recognition in another field as he founded Rice University’s Shepherd School of Music, where he served for six years as its first dean. All the while, he has continued to compose and has amassed a vital and active catalogue of works. After stepping down from Rice as dean, Jones continued at the Shepherd School as Professor of Conducting and Composition and Director of Graduate Studies. In 1997 he retired from full-time academic life and he and his wife moved to Seattle where he was appointed Composer in Residence of the Seattle Symphony by Gerard Schwarz where he served fourteen years, the longest such tenure in American orchestral history. While in Seattle, he composed a large number of significant works, including a successful series of concertos for principal players in the orchestra. In addition to his work in composition, Jones continues to spend significant time as a teacher of conducting and composition. As a past president of the Conductors’ Guild and as a frequent master teacher at the Conductors Institute and other conductor study classes, Jones has made a strong contribution to the advancement of the American conductor. 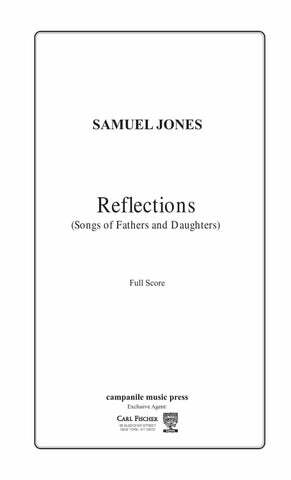 Samuel Jones is the recipient of numerous awards for his compositions, including a Grammy nomination for the Seattle Symphony recording of The Shoe Bird based on a story by Eudora Welty; a Ford Foundation Recording/Publication Award; a Martha Baird Rockefeller Grant; NEA Grants; repeated ASCAP Awards; an International Angel Award; the Seattle Symphony Artistic Recognition Award, the Houston Symphony Distinguished Service Award, and six Music Awards from the Mississippi Institute of Arts and Letters, as well as its prestigious Lifetime Achievement Award. He received an honorary doctorate from Millsaps College in 2000, and the same year he was inducted into the inaugural class of the Mississippi Musicians Hall of Fame. He was named the Music Alive Composer in Residence for the Meridian Symphony by Meet The Composer and the League of American Orchestras. His works have been performed by such orchestras as the Philadelphia Orchestra, the Seattle Symphony, the Detroit Symphony, the All-Star Orchestra, the Utah Symphony, the Houston Symphony, the Cincinnati Symphony, the Louisville Orchestra, the New Jersey Symphony, the Rochester Philharmonic, the Britt Festival, the New Century Chamber Orchestra, and scores of others. His music has been commissioned by the Philadelphia Orchestra, the Seattle Symphony, the ASCAP Foundation, Meet the Composer, the All- Star Orchestra, the Houston Symphony, the American Symphony Orchestra League, the Amarillo Symphony, the Midland-Odessa Symphony, the Sioux City Symphony, the Saginaw Symphony, Millsaps College, the Mississippi Boychoir, and the Choral Society of Greensboro, among others. More recently, Jones was commissioned to compose a Violin Concerto for the Emmy Award-winning All-Star Orchestra’s second series of television broadcasts. The concerto’s premiere performance, by the violin soloist Anne Akiko Meyers accompanied by the All-Star Orchestra conducted by Gerard Schwarz, was heard on selected PBS stations throughout the country beginning in December 2015. 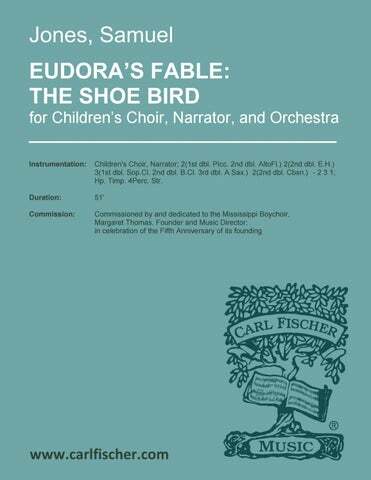 This work, which received the 2015 Music Award from the Mississippi Institute of Arts and Letters, has also been released on a Naxos DVD. Another recent work is a String Quartet for the Harrington Quartet, which will be premiered in April 2017 and subsequently recorded for CD and television. 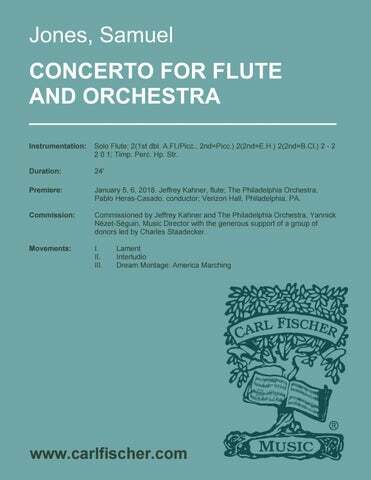 He is currently completing a Flute Concerto commissioned by The Philadelphia Orchestra for its principal flutist, Jeffrey Khaner. This work will receive its premiere in January 2018. Born on June 2, 1935, in Inverness, Mississippi, Samuel Jones has enjoyed a long and distinguished career as a composer, conductor, and educator. A graduate of Central High School in Jackson, Mississippi, he received his undergraduate degree with highest honors at Millsaps College. He acquired his professional training at the Eastman School of Music, where he earned his M.A. and Ph.D. degrees in composition under Howard Hanson, Bernard Rogers, and Wayne Barlow. A former conducting student of Richard Lert and William Steinberg, Jones’ numerous conducting credits include tenures as Conductor of the Rochester Philharmonic, Music Advisor of the Flint Symphony, and Music Director of the Saginaw Symphony. As a conductor, Samuel Jones has performed in many of the world’s great concert halls with some of its outstanding orchestras, including Carnegie Hall and Eastman Theatre (Rochester Philharmonic), Avery Fisher Hall (New York Philharmonic), Smetana Hall (Prague Symphony), Benaroya Hall (Seattle Symphony), Jones Hall (Houston Symphony), Kleinhans Hall (Buffalo Philharmonic) and the Syria Mosque (Pittsburgh Symphony) as well as guest conducting engagements with many other orchestras including, among others, the Detroit Symphony, the Iceland Symphony, the Flint Symphony, the Lansing Symphony, the Naumberg Symphony, the Shepherd Symphony and the Carnegie Mellon Philharmonic. Early in his career he founded the Alma Symphony and the Delta College Summer Festival of Music and was on the faculty of Alma College in Michigan. His compositions include three symphonies, six concertos and many other orchestral works, as well as works for chorus and orchestra, opera, and chamber groups. His music is published by Carl Fischer, Theodore Presser, and Campanile Music Press and is recorded by Naxos, CRI, Gasparo, ACA, Centennial Records, and Brilliance Audio. for Brass, Organ and Timpani 4:00 tpt. (3), hn. (4), tbn. (3), tba., timp., org. 2:00 tpt. (3), hn. (5), tbn. (3), t.
for Brass and Timpani 5:00 Hn. (4), tpt. (3), trb(3), tba., timp. 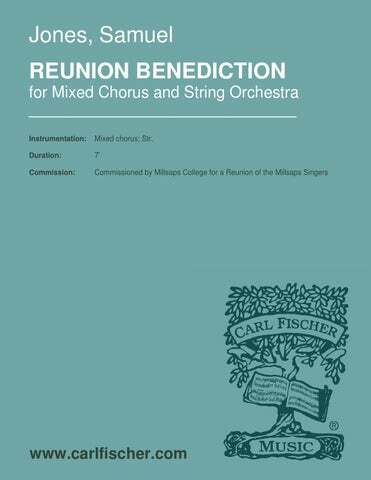 Chorale Prelude on the celebrated Benediction and Sevenfold Amen by Peter Lutkin 9:00 1 1 1 1 – 1 1 1 1; Str. 12:00 3 3 3 3 – 4 3 3 1; Timp. Perc. Pno., Cel. Hp. Str. Suite from the opera 17:00 2(2nd dbl. Picc.) 2(2nd dbl. E.H.) 2(2nd dbl. B.Cl.) 2 – 2 2 1 1; Timp. 1Perc. Hp. Str. 5:00 4(Picc.) 4(E.H.) 4(B.Cl.) 4(Cbsn.) – 4 3 3 1; Timp. Perc. 2Hp. Str. 5:00 3 3 3 3 – 4 3 3 1; Timp. Perc. 2Hp. Str. 18:00 2(dbl. Picc.) 2(dbl.E.H.) 2 2 – 2 2 1 0; Timp. Perc. Hp. Str. 11:00 3(Picc.) 3(E.H.) 2 2 – 4 3 3 1; Timp. Perc. Hp. Str. (arr.) 3:00 2(2nd dbl. Picc.) 2 2 2 – 2 2 3(B.Tbn.) 1; Tubular Bell, Hp. Str. 8:00 3(Picc.) 3(E.H.) 3(B.Cl.) 3(Cbsn.) – 4 3 3 1; Timp. 3Perc. Hp. Str. 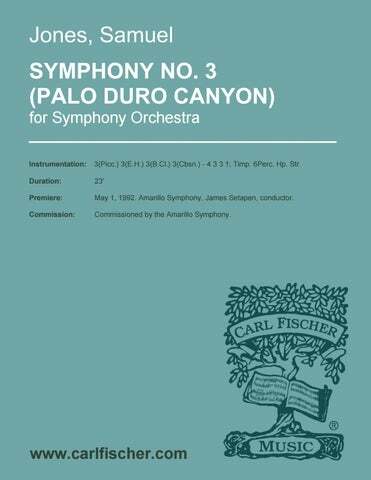 Tone Poem/Suite for Orchestra 18:00 3(3 dbl. Picc.) 3(E.H.) 3(3 dbl. B.Cl.) 3(Cbsn.) – 4 3 3 1; Timp. 3Perc. Hp. Str. 8:00 2 2 2 2 – 2 2 1 0; Timp. Glock. Str. 41:00 3 3(E.H.) 3 3(Cbsn.) – 4 3 3 1; Timp. 3Perc. Hp. Str. (Variations on a Theme of Howard Hanson) 22:00 3(dbl. Picc.) 3(E.H.) 3(B.Cl.) 3(Cbsn.) – 4 3 3 1; Timp. 3Perc. Hp. Str. 27:00 3(dbl. Picc.) 3(E.H.) 3(B.Cl. / dbl.Cl. In A and Bb) 3(Cbsn.) – 4 3 3 1; Timp. 3Perc. Pno.(Cel.) Hp. Str. 22:00 3(Picc.) 3(E.H.) 3(B.Cl.) 3(Cbsn.) – 4 3 3 1; Timp. 6Perc. Hp. Str. for Organ and Orchestra 6:30 Solo Org. ; 3(Picc.) 3(E.H.) 3(B.Cl.) 3(Cbsn.) – 4 3 3 1; Timp. 2Perc. Str. 25:00 Solo Hn. ; 3(Picc.) 3(E.H.) 3(B.Cl.) 3(Cbsn. ); 5 3 3(B.Tbn.) 1; Timp. Perc. (3) Hp. Str. Vita Accademica 25:00 Solo Tbn. ; 3(3rd dbl. Picc.) 3(E.H.) 3(3rd dbl.B.Cl.) 3(Cbsn.) – 4 3 3(B.Tbn.) 1; Timp. 2Perc. Hp. Str. 24:00 Solo Tu; 3(dbl. Picc.) 3(E.H.) 3(2nd dbl.EbCl./3rd dbl. B.Cl.) 3(3rd dbl. Cbsn.) – 4 3 3 1; Timp. 3Perc. Hp. Str. 24:00 Solo Vln. ; 2(2nd dbl. Picc.) 2(E.H.) 2(2nd dbl. B.Cl.) 2 – 2 2 0 1; Timp. Perc. Hp. Str. 21:00 Solo Vcl. ; 2(2nd dbl. Picc.) 2(E.H.) 2(2nd dbl. B.Cl.) 2 – 2 2 0 0; Timp. 1Perc. Str. 48:00 Narrator, Children’s Choir; 2(1-dbl. picc., 2-dbl.alto fl.) 2(E.H) 3 2 – 2 3 1 0; Hp. Timp. 4Perc. Str. 7:00 SATB chorus; 3(dbl. Picc.) 3(E.H.) 3(B.Cl.) 3(Cbsn.) – 4 3 3 1; timp, 4Perc. Str. 27:00 SATB chorus (2); 3(dbl. Picc.) 2(dbl.E.H.) 2(dbl.B.Cl.) 3(Cbsn.) – 4 3 3 1; Timp. perc. (5), Hp. Str. 22:00 SATB chorus; 3(dbl. Picc.) 3(dbl.E.H.) 3(dbl.B.Cl.) 3(dbl.Cbsn.) – 4 3 3 1; Timp. 3Perc. Hp. Str. 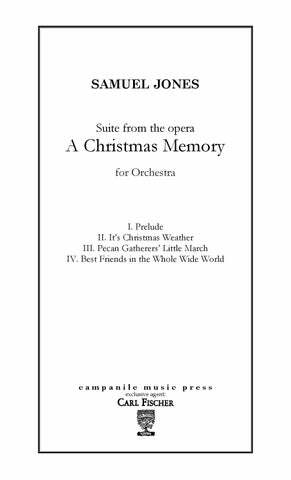 1:13:00 Solo bass voice; SATB chorus, children’s chorus; 2(dbl. Picc.) 2(dbl.E.H.) 2(dbl.B.Cl.) 2 – 2 2 3 0; Timp. Perc. Cel. Hp. Str. Definable and discernible tonal centers combine to provide the listener with a fluid yet identifiable sense of harmonic progression. …You may not be able to guess where the music is going, but when it gets there, you’re fairly well convinced that’s where it was going all along. …Jones’ orchestration managed to keep the delicate timbres of Khaner’s golden flute front and center. …an eloquent narrative of drama and beauty. The Larghetto is a gorgeous essay on lyricism … The finale is a whirlwind, with passion intensely burning. The music itself is solidly constructed, accessible and exploits dissonance for dramatic effect… [it’s] clear that the piece is a winner for both violinist and composer.